While investigating a series of strange murders in her neighborhood, college student Claire Jones is kidnapped by a handsome werewolf who claims he’s rescuing her from the clutches of an evil sorcerer. But she can’t run forever and if Claire and her companion can’t reclaim an arcane artifact to end the warlock’s reign of terror, he will unleash the monstrous Sh’logath’s cataclysmic power upon the universe, shattering dimensional barriers, and devouring all reality. 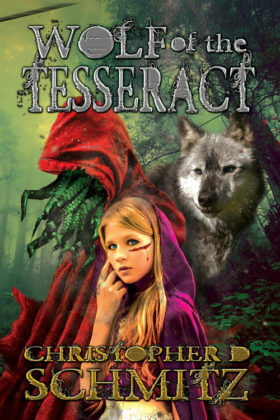 Book 1 of the Wolves of the Tesseract series.